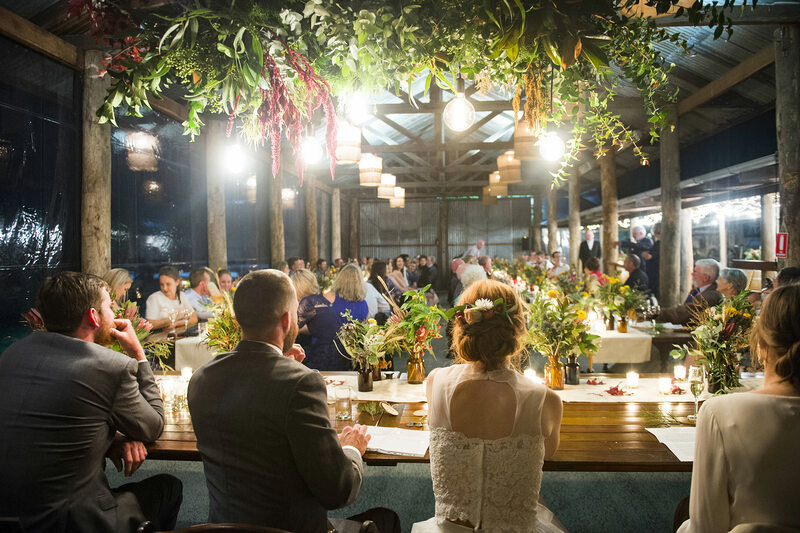 Yandina Station Weddings are exclusive and private, with 14 acres of photographic property at your finger tips. Your marriage begins with your exchange of vows on our private luxury estate and ends in our Dairy Barn. Our 3 onsite award winning luxury cottages ensure we accommodate you and your wedding party for the duration of your wedding. 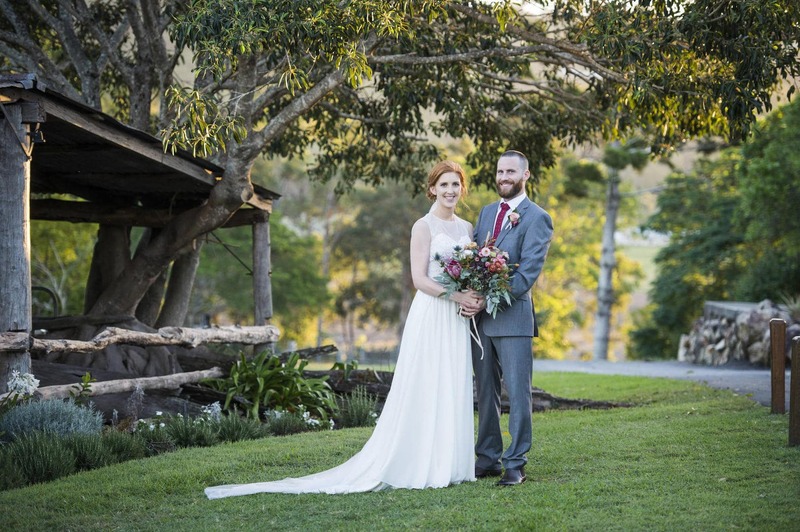 Our Sunshine Coast wedding venue boasts a barn venue, lush grounds and is in close proximity to beaches, airports & additional accommodation facilities making our rural yet coastal venue a perfect choice for destination weddings. Yandina Station Wedding packages and menus are available upon enquiry. 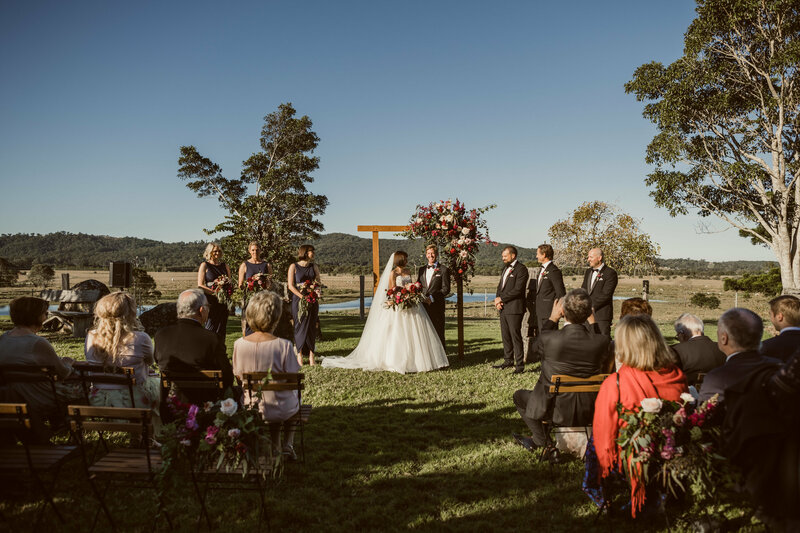 Begin the wedding overlooking the dam and Mt Coolum, welcome drinks and post-ceremony celebrations allow your guest to enjoy the expansive views and relaxed country atmosphere. 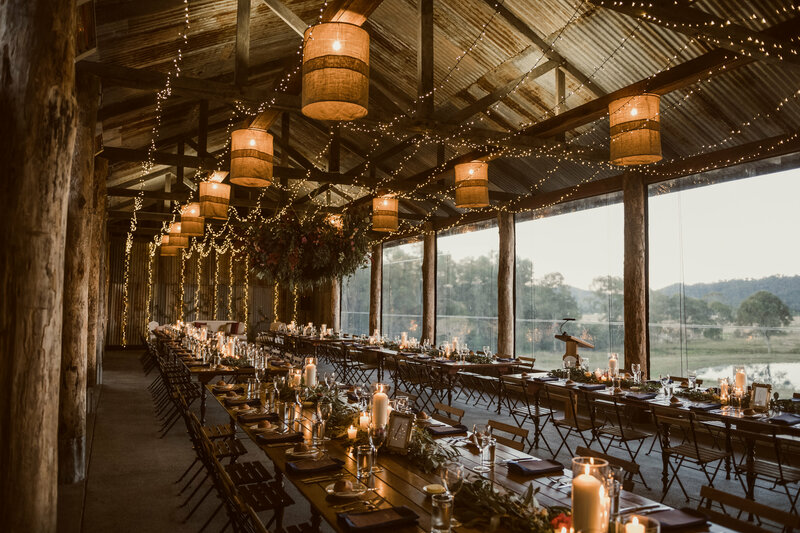 The day continues inside the original Dairy of Yandina Station, with our authentic Dairy Barn comfortably seating up to 180 guests. Our chefs and wait staff are true professionals in every way, serving epic food while meticulous care is taken to ensure you have the very best country hospitality available. Our three onsite Luxury Cottages, each with two bedrooms and full kitchen facilities, make them an ideal space to get ready on the day and celebrate your wedding night. We give very personal attention to every event held at Yandina Station and will happily personalise each package to ensure your day is unique and exactly tailored to your needs. We can also assist with information regarding contacts for stylists, entertainment, celebrants and other talented local providers to compliment your day. 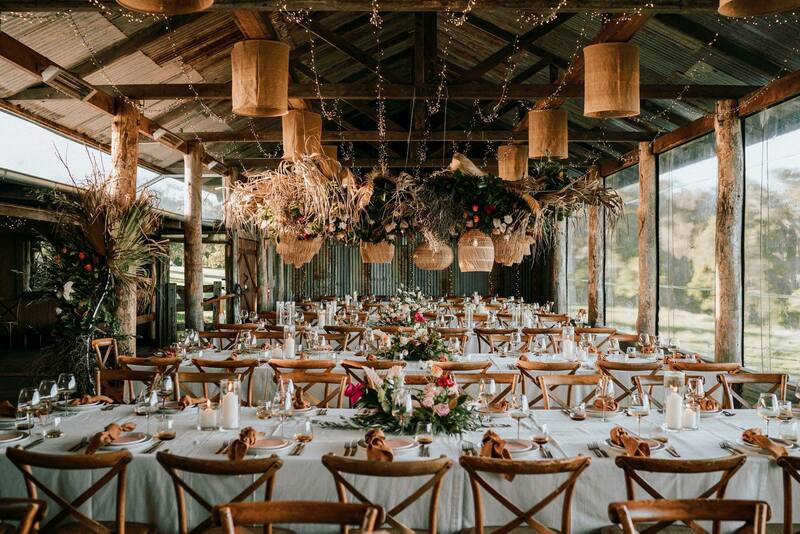 The team at Yandina Station are specialists in the field with many years experience and attention to detail that will ensure your day is planned perfectly, and is a memorable and spectacular event. We look forward to discussing your wedding further. It would be our pleasure to show you around Yandina Station at your convenience.